I try to keep a positive attitude and wake up each day, ready to have a better one (if the previous wasn't so great). I love making these posts too - thinking back on some of the things that brought me happiness during the week. Please share with me the things that have made you happy throughout this past week too! 1 // Finding a dress for my upcoming baby-related events (baby shower, maternity pictures, etc). I have a somewhat bohemian style, I love unique and relaxed pieces and it was hard for me to find something that I loved - but thanks to the amazing Fillyboo, I was able to find the perfect dress. A little pricey, yes...but totally worth it in my book. 2 // An awesome new drugstore foundation discovery. I will be doing a full review in the next week or so - but overall I am really happy with it! 3 // Our kitchen being SO close to fully functioning. I can't wait to share our renovation pictures with you all! And it has been so nice to have everything back and working (and put away in cabinets)...the only thing left to get hooked back up is the cooktop. 4 // This gorgeous top. I ordered it a bit big so I could wear it now with my bump - perfect for a little date night with the hubby! 5 // Ladies of London. My guilty pleasure TV show - the one thing I record and watch when Aaron is out of town. I hope they continue with another season after this, but two of the main ladies moved out of country (one to Dubai and one to America)...so not sure what will happen going forward! 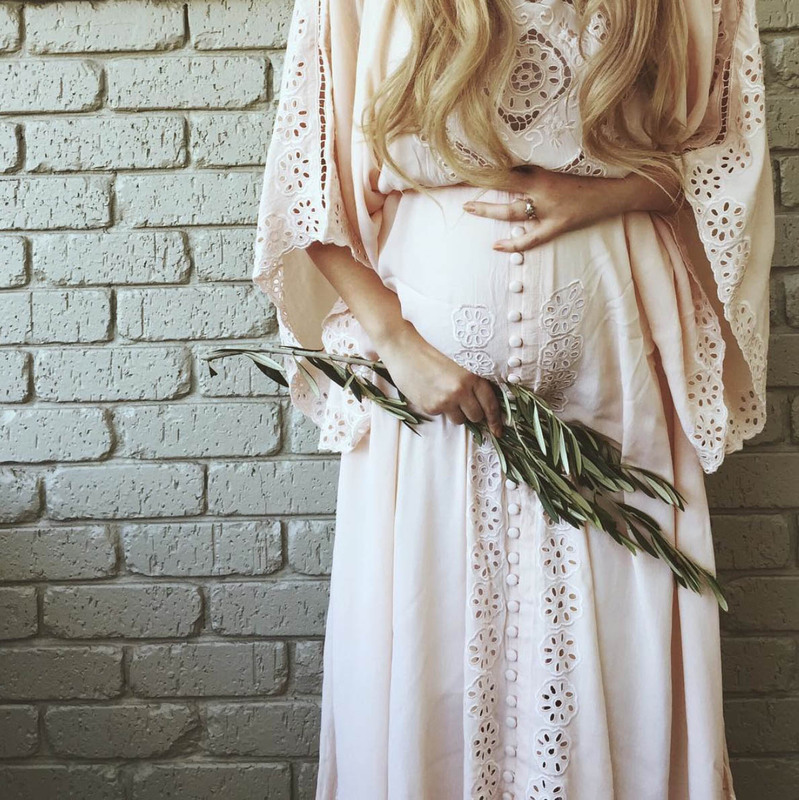 Ohh can't wait to see what you picked out for your maternity shoot! I remember being really excited when Ladies of London first came out and I think something weird happened with our DVR so I never watched it, but I'm sure I would love it!